Updated about 3 yrs, 6 mths ago (September 23, 2015). Know a better answer? Let me know! If you receive an error “Insufficient Storage Available” while installing or upgrading apps even when there is lot of free space in device memory, it could be that your phone has filled up with “invisible” logs. 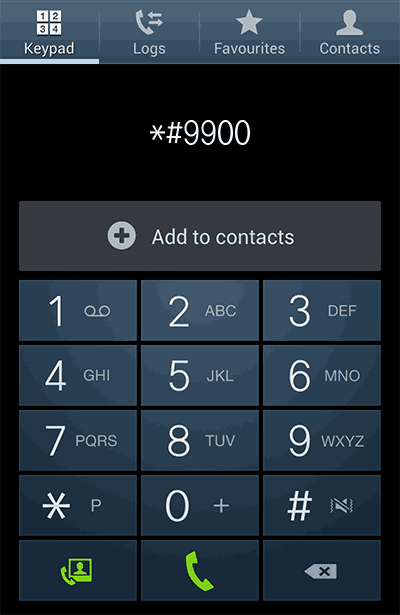 You can not delete these normally unless your phone is rooted, and they do not seem to show up in the storage space for some reason, so your phone displays that there is free storage, when in fact there is not. 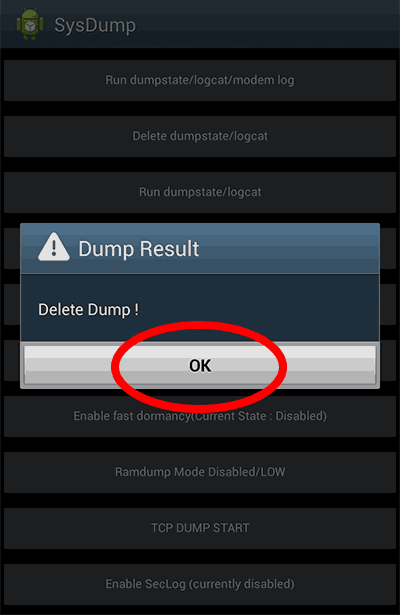 On the screen that appears, click on the button labelled “Delete dumpstate/logcat”. 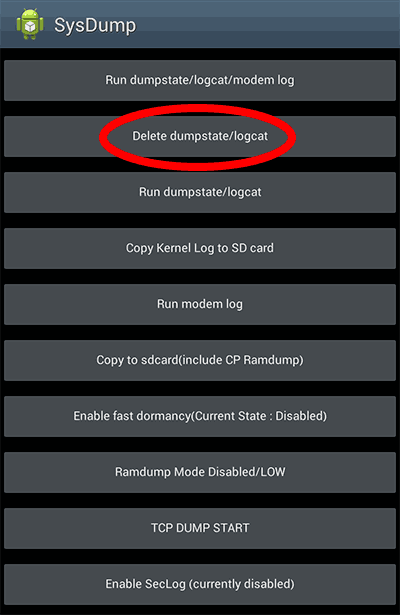 Delete Contacts From Android And Resync From ExchangeHow to delete duplicated contacts in Android and resync them from Exchange, and fix the synckey issue when Exchange won’t resync the contacts.How To Activate An XP Mode VM On Windows 10You are running Windows 10 and you want keep using an XP Mode virtual machine after its activation has expiredKindle Root Password GeneratorAmazon’s Kindle uses a root password derived from the serial number. This tool will help you calculate your Kindle’s root password.Map Keystrokes Ctrl + Tab And Ctrl + Shift + Tab To Microsoft Intellimouse ButtonsEver wanted to map a mouse button to a character you can’t enter into the Intellimouse/Intellipoint control panel, such as the Tab key? Here’s how.Correcting Clock Drift On A CentOS VM Under Hyper-V On Server 2008 R2How to correct clock drift on a CentOS 5 virtual machine guest running on a Server 2008 R2 Hyper-V host.Delete Comment Spam From GalleryHow to mass delete comment spam from GalleryEnable EPG TV Guide In Media CenterHow to enable the Electronic Program Guide for TV broadcasts in Vista or XP Media Center for use in Australia.Firefox Extension: Paste And Go 3 1.0.5This simple Firefox extension provides a configurable keyboard shortcut which will instantly paste and go (open or search) whatever is in the clipboard. It is a great time saver.Ignore Files In Git .gitignore But Keep DirectoryHow to .gitignore all files in a directory, but keep the directorySongs From Gossip Girl’s Pilot EpisodeWhat is the complete list of songs and when they were played in the pilot episode for Gossip Girl?Hotlink ProtectionHow to protect files from hotlinkingApache Module Mod_rewrite Test PageA test page for the Apache mod_rewrite module showing which variables mod_rewrite receives.Drop In PHP Caching FunctionCache complex content using PHP without greatly modifying the existing code structure.How To Register For GST If You Already Have An ABN (in Australia)How to register for GST using the Australian Government’s/Australian Taxation Office’s ATO online Business Portal when you already have an ABN and an AUSKey.Soundblaster Live ASIO SupportHow to use a Soundblaster Live with APS drivers to provide ASIO supportTemplate-Based SiteMake a simple PHP-based template-drive siteWindows Media Centre Remote Control & WinampHow do I make my Windows Media Centre remote control work with Winamp?Contact MeContact Hard Answers.Bypass PHP Output Buffering When Using Apache Mod_deflateHow to output content immediately to the browser by bypassing PHP’s output buffering using flush() & ob_flush() while still using Apache mod_deflate to compress page contents.Perform A Regular Expression Search And ReplaceThis page lets you perform a PHP perl-compatible regular expression find and replace using preg_replace.